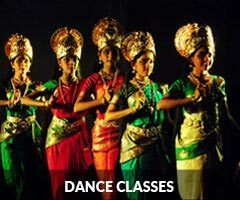 Vidwan B.Girish Kumar | Shree Mookambika Cultural Academy Reg. Vidwan B.Girish Kumar, the second son of Smt. 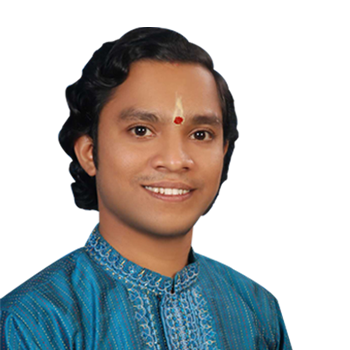 Shashi Prabha and Shri D. Bhavani Shankar and the younger brother of Sri B. Deepak Kumar, the famous bharathanatyam exponent of Puttur, is an upcoming artiste in the field of classical dance. Girish started the first steps of dance at the young age of 8. The teacher who guided him at this initial stage was Guru Ambale Rajeshwari. Since then for past 17 years he has been trained and guided by his brother Deepak. With his family support Girish has successfully passed junior, senior and vidwat grade exams with distinction and first class. On academic side Girish has completed diploma in electronics and communication engineering in Vivekananda polytechnic, Puttur. Presently he is doing his post graduation in bharathanatyam in Mysore University, Mysore. First place in 2013, Second place in 2004, 2005 and third place in 2006 for district level youth section Bharathanatyam competition by Kannada and samskrithi department Mangalore. State level Scholarship year 2007 by Karnataka Sangeetha Nrithya Academy Bangalore. First in year 2008 and Second place in 2009 for district level youth section Bharathanatyam competition by Yuvajana Seva Ilake Mangalore. Second place in 2008 State level Yuvajanotsava competition held in Chitradurga. First in National Level Bharathanatyam competition senior section in Bangalore conducted by Gopinathadasa Nyasa Academy Bangalore. His Ranga Pravesha was held in Puttur on 05-01-2003. Outstanding Young Person Award by Mangalore Jaycee wing. He is also a ‘B’ grade Artiste of Bangalore Doordarshan. He is a recipient of state level scholarship given by Karnataka Sangeetha Nritya Academy. Girish is also a multi-faceted talent and he has won many prizes in various competitions of different kinds like Drawing, Fancy dress, Elocution, Essay Writing, Music, etc., during his school and college days. He represented his school for Mangalore Akashavani. Receiving ‘A’ grade in NCC and also was a member of NSS. Girish is very enthusiastic in perpetutuating this great art of classical dance and spreading it to different levels of the Society. With this in view, he teaches dance to rural students of Nellyady, Kokkada and Mura and also assist his brother Deepak, who runs the Mookambika Cultural Accademy (R.) in Puttur.